Veronica Malka – Marbella’s Rising New Singing Star | Marbella Marbella – Adelante! 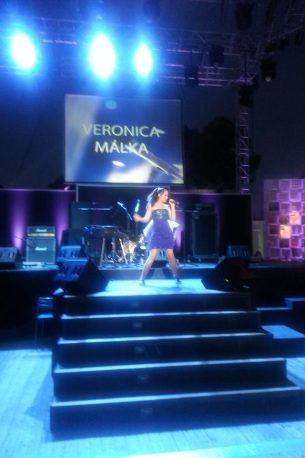 Veronica Malka is a rising star already making big news internationally! A few weeks ago I had the pleasure to be invited lunch in Marbella at the MBI (Marbella Business Institute) and met several old friends who I had not seen for some time and meeting new interesting people. At the table, I found my self facing a strongly built, charismatic Russian man and by his side a charming and attractive lady who introduced herself to me as Masha Malka, who also hailed from Russia and soon discovered that Masha was the successful international best- selling author of “The One Minute Coach” www.mashamalka.com. We soon struck up a friendly humorous relationship and after they heard I was involved in composing music Masha asked me to listen to, a song (via headphones connected to a phone) a song recently recorded by her daughter Veronica Malka. Considering we were in a busy restaurant with a lot of noise around, I recognised that this girls voice was a little special. We agreed to meet at a later date and I duly met Masha and her daughter Veronica. The girl who appeared to be about 17 years of age, was in fact 15, but had the talent and vocal maturity of a much older and experienced singer and was also a trained dancer. 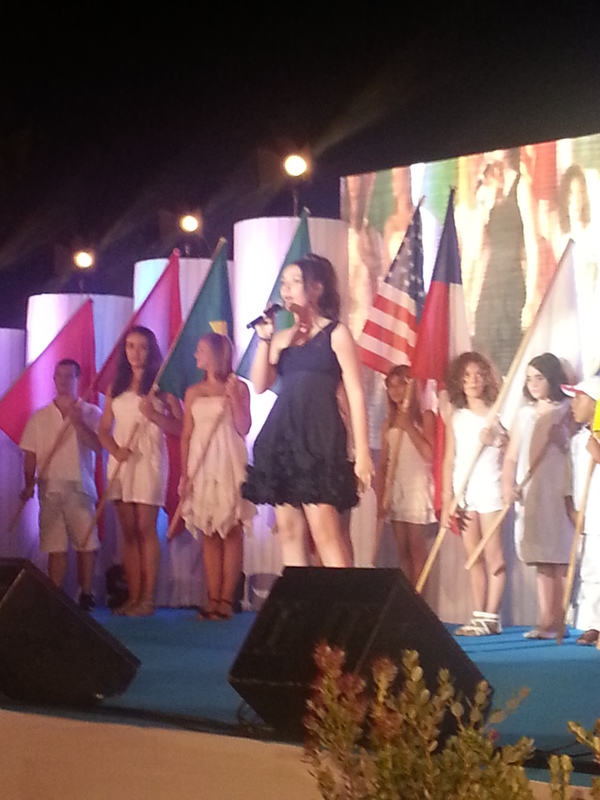 Masha explained to me that Veronica has been performing since the age of 8, singing, dancing, acting and modelling. She has performed radio and TV interviews and sang live on the air many times. She also performs at charity events, big stage productions, as well as her own concerts and opening acts and Veronica was born in Marbella, Spain in 1999. She has both UK and USA nationalities. She speaks English, Spanish, and Russian and sings in Hebrew as well. One of her grandfathers is from Morocco and the other one is from Uzbekistan. Her grandmothers are from England and from Ukraine. Her mother is Russian/American and her father is British/Israeli. In 2012 Veronica has become a laureate of the Moscow Meets Friends international talent festival, produced by the famous violinist and conductor Vladimir Spivakov, and has travelled to Moscow in June to represent Spain. Also that year she became a finalist of the Reality Star international singing contest in Marbella, winning a 3rd place. 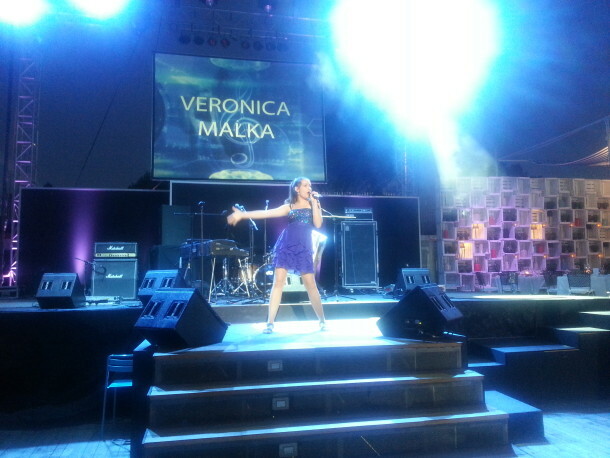 In the following year of the Reality Star competition Veronica won a prize for the best original song that she sang at the finals. In January, 2013 Veronica was the only singer from Marbella to sing at the first Marbella Russian Movie Festival on the same stage with big Russian pop stars. In August, 2013 she was the youngest performer to sing at the annual Starlite Festival in Marbella (the same festival where Julio Iglesias, Tom Jones, Jamie Cullum, Enrique Iglesias, and other big stars perform each summer). She was also the only child who was invited to sing at the largest charity event of the year in Marbella – The Children for Peace. In 2014 Veronica signed a contract with the GME (General Music Entertainment) company – a global recording music company, to release her single I Can’t Stop Falling. Veronica attends Sotogrande International School which is considered to be one of the best international schools in Europe and is very strong in Performing Arts. Veronica’s full name is Veronica Rachel Rebecca Malka and her stage name is Verity Malka.